Twist in suspected murder case of Maria Claudia Lutz and two children. Disturbing twist in the case of Sydney father's murder-suicide, & more in News in 5. 1. 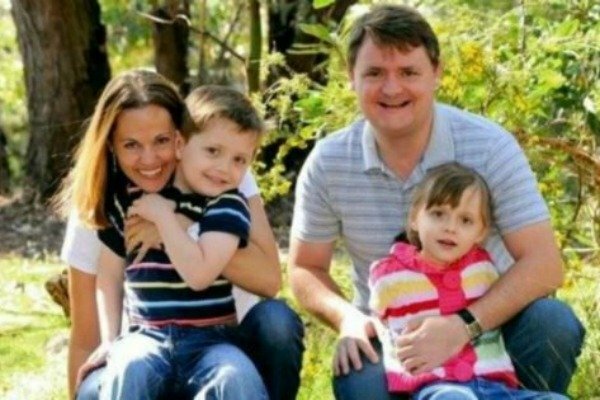 Sydney father suspected of murdering his wife and two children may not have meant to kill himself. When the bodies of Fernando Manrique, 44, his wife Maria Lutz, 43, and their children Elisa, 11, and Martin, 10, were found in their northern Sydney home in October 2016, there was something odd. While the mother and children were found in bed, Fernando Manrique was found face down on the floor in the hallway. According to News Corp, the coronial inquest into the deaths of the family was told that the father may have been preparing to flee. Counsel assisting Adam Casselden referenced a packed suitcase as one of the items that raised questions over whether Fernando Manrique had intended to take his own life. “Did Fernando intend to die with his family? That’s open to interpretation,” Casseldon said. “The body in the hallway is consistent with being overcome with gas — but also suicide. At the opening of the inquest at Lidcombe Coroners Court, counsel assisting Adam Casselden said there was “little cause for doubt” that Mr Manrique was responsible. He paid a friend $400 to receive a delivery of the deadly gas which, the inquest heard on Tuesday, has only a few specific industrial uses. The gas was sourced from industrial supplier BOC. Following the 2016 deaths the company removed carbon monoxide from its public website so only approved customers could order it, production manager Robert Brittliff told the inquest on Tuesday. If this post brings up any issues for you, or if you just feel like you need to speak to someone, please call 1800 RESPECT (1800 737 732) – the national sexual assault, domestic and family violence counselling service. If you’re suffering from depression or anxiety and need help, or just someone to chat to, you can call Lifeline on 13 11 14 or BeyondBlue on 1300 22 4636. 2. “I’ve become obsessed with finding answers.” Victorian teenager died during childbirth. A distraught Victorian mother has revealed the anguish of hopelessly watching her teenage daughter die while giving birth. Mooroopna woman Sommer Warren, 18, died at Shepparton’s Goulburn Valley Health in October 2014, nine days past the date she was due to give birth. Evidence presented to the Coroners Court of Victoria on Tuesday found Ms Warren had no pulse for up to three minutes before hospital staff staff began CPR. A panel of doctors concluded she died from a hypertensive crisis, causing a seizure which led to cardiac arrest. Ms Warren’s mother Leisa Scammell told the inquest her life has fallen apart since losing her first-born child five years ago. She lambasted the Shepparton hospital for its treatment of her daughter during the pregnancy, and after she was admitted to give birth. Ms Scammell has refused to go back to the hospital since, opting for her other two daughters to seek medical treatment elsewhere. 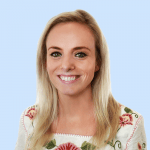 “Sommer put her trust in medical professionals and they simply weren’t listening to her fears,” Ms Scammell told the inquest. “I watched on hopelessly as Sommer deteriorated while in labour. My last memory of my daughter is seeing her eyes roll back in her head and going into a seizure. Ms Scammell said her grandson Lincoln’s birthday would “always be remembered as a day he lost his mum”. “At no stage did I contemplate losing my girl or that she wouldn’t be holding her baby son,” she said. The inquest was told Ms Warren experienced high blood pressure after being induced into labour on October 6, 2014. She became drowsy and her eyelids started flickering, but there was a significant delay in attempts to revive her when she had no pulse. Expert doctors were split on whether Ms Warren suffered the serious condition pre-eclampsia, which could have categorised her pregnancy as high-risk. Dr Forbes McGain told the court that the “real trouble is on the final day”, referring to the time anaesthetist Jayakumar Rangaswami administered an epidural. In a written statement, Dr Rangaswami said Ms Warren was distressed before being given the epidural but he put that discomfort down to labour pain. The inquest before coroner Audrey Jamieson will resume on May 20. 3. ‘Egg Boy’ Will Connolly receives caution over Anning scuffle. A teenager who cracked an egg on Senator Fraser Anning’s head last month has avoided criminal charges but learned a profound lesson. 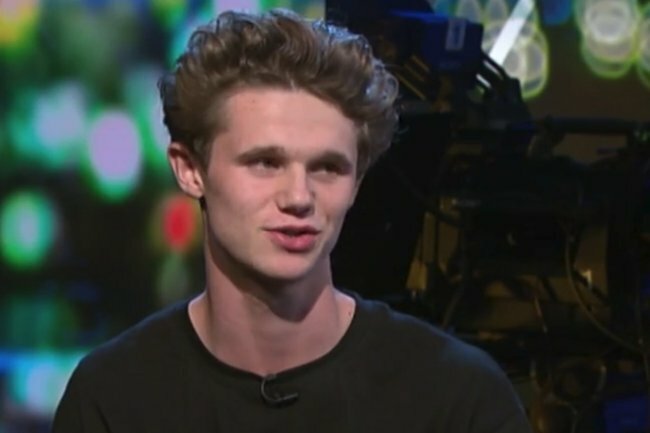 Will Connolly, 17, has received an official caution from police over the incident, prompted by what the teen’s lawyers described as a passionate point of view. Will Connolly has been issued a caution. Image: The Project. Senator Anning, 69, also avoided charges for subsequently striking the youth. However police on Tuesday said a man would be charged with assault for allegedly kicking Mr Connolly while he was on the ground at the Moorabbin event on March 16. The incident followed remarks from the senator blaming Muslim migrants for the New Zealand terror attack in which a white supremacist killed 50 worshippers at Mosques. "On assessment of all the circumstances, the 69-year-old&apos;s actions were treated as self defence and there was no reasonable prospect of conviction," police said in a statement on Tuesday. Mr Connolly&apos;s lawyer Peter Gordon said the teen had been counselled about his behaviour by his parents as well as police, who had thankfully taken a common sense approach. "It was the wrong way of going about what was a passionately-held belief and desire for a greater level of civility from our community and from our politicians," he said. "On the other hand he acknowledges that it has brought a lot of happiness and relief to a lot of people and has brought together a lot of people who, like him, share a desire for a greater level of acceptance and decency and civility in our public and political discourse." Mr Gordon said Mr Connolly regretted his actions and understood politicians have the right to express their views without being egged. Mr Connolly doesn&apos;t intend pursuing complaints against Senator Anning or others involved. Detectives had launched a public appeal for information to find the man seen kicking him following the egg smashing. A 20-year-old from West Footscray was questioned and released on Tuesday and is expected to be charged on summons. More than $100,000 was raised by the public for Mr Connolly&apos;s legal action but will be donated to the Christchurch Foundation to support victims of the March terror attack. Senator Anning was censured by parliament last week over his divisive comments. Labor&apos;s Senate leader Penny Wong described his commentary as pathetic. 4. Why we did it: Queensland abattoir raider Mo Orr explains her actions. Protesters have scoffed at claims a raid on a Queensland abattoir created a biosecurity risk, saying they turned up in biohazard suits while the workers clomped around in thongs. Mo Orr and about 20 others chained themselves to the killing floor of the Carey Bros Abattoir in southeast Queensland on Monday as part of a national day of action by animal rights campaigners. The protests sparked a furious response, with Prime Minister Scott Morrison calling activists green-collar criminals and Queensland&apos;s Agriculture Minister Mark Furner saying they might have imported foot-and-mouth disease from Indonesia. "We don&apos;t know where these people have been the last several weeks. They could have just returned from Bali - had some involvement with foot and mouth disease," the minister said. "The last thing our country needs is some of these crazy people entering our farms with foot and mouth disease, infecting our farms, and wiping out the whole livestock industry in this country." Ms Orr said protesters had taken all possible precautions, and had suited up to manage biosecurity risks. "We&apos;re in coveralls, hair nets, and the workers come in thongs," she told AAP on Tuesday. "And the police come in, not suited up, so go figure." Ms Orr said she joined the protest because Australians need to fully grasp the horror and cruelty involved in the meat and dairy industries. "We are not vegan activists. We are animal rights activists," she said. "We believe that most Australians are opposed to animal cruelty but they are unaware that they are funding it every time they purchase meat, eggs and dairy." Ms Orr accepts she could be charged over Monday&apos;s raid. "But if we don&apos;t expose this, who will? Do we just ignore it?" She said Monday&apos;s day of action was about getting more Australians to watch the documentary, Dominion, which details slaughtering practices many consumers know nothing about. Police are yet to receive a complaint that could trigger charges but Carey Brothers abattoir owner Greg Carey has indicated he wants the activists to be prosecuted. Ms Orr said she was happy to have saved the lives of three sheep that were surrendered at the abattoir in exchange for an end to the protest. Brad King, from Farm Animal Rescue, says they are being cared for at a sanctuary at Dayboro, north of Brisbane, and it&apos;s possible they will be offered up for adoption down the track. Biosecurity Queensland said risks from the movement of the sheep were considered minimal. Elsewhere in Brisbane, a far more civilised and genteel protest was taking place at Inghams at Murarrie on Tuesday where the message was "peace and love". More than 30 activists stage a "respectful" demonstration stopping delivery trucks after negotiating with the company to allow peaceful protests every month. 5. Malcolm Turnbull has called for an investigation into Peter Dutton&apos;s recent meeting with a Chinese billionaire. Malcolm Turnbull is "very, very concerned" about Home Affairs Minister Peter Dutton&apos;s meeting with a Chinese billionaire now banned from re-entering Australia. The former prime minister pressured his replacement Scott Morrison to urgently investigate Mr Dutton&apos;s meetings with Huang Xiangmo, but Mr Morrison says he&apos;s not worried about it. "I have spoken to Peter Dutton about this. There are no issues here that troubled me at all," Mr Morrison told reporters in Tasmania on Tuesday. Mr Huang paid tens of thousands of dollars to a lobbyist in 2016 to secure a private lunch with Mr Dutton when he was immigration minister in a failed attempt to fast track his citizenship application, it&apos;s been claimed. "I&apos;ve never received a dollar from this individual. I had that one meeting with him over lunch. I haven&apos;t seen him since. What&apos;s he got from me? 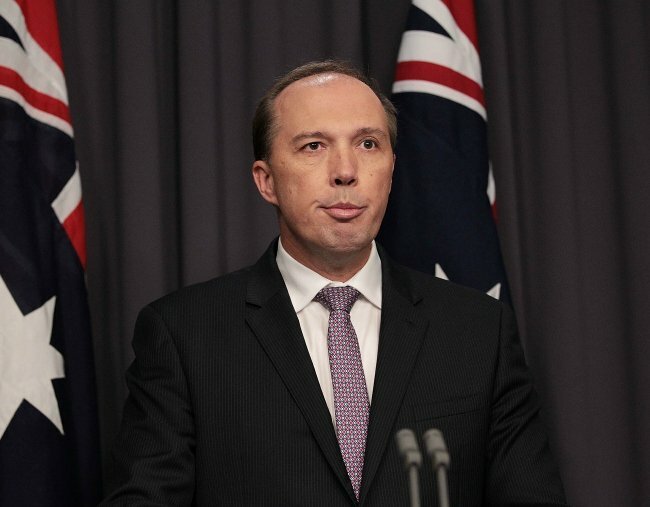 Well, he&apos;s now offshore," Mr Dutton told reporters in Rockhampton. But Mr Turnbull said Mr Dutton and lobbyist Santo Santoro - a former Liberal government minister - have a lot to explain about the "very troubling" revelations. "Scott Morrison is the prime minister and you can&apos;t wave this off and say it is all part of gossip and the bubble. This is the national security of Australia," Mr Turnbull told reporters. "I think it is very, very concerning and very troubling for anyone. "This has to be addressed at the highest level of security, priority, urgency by the prime minister. The buck stops with him." Mr Morrison said Mr Huang had his Australian visa cancelled while he was out of the country. "So if the object was foreign interference, well, the exact opposite is what has occurred," he said. "I think when it comes to these issues our government&apos;s record is squeaky clean." Labor senator Sam Dastyari, who was forced to resign after it was revealed he tipped Mr Huang off about an investigation into him, tweeted a link to a news story about the meeting with Mr Dutton and said: "I resigned for less." Mr Huang paid Mr Santoro and then met with Mr Dutton at a Chinese restaurant in Sydney, according to an investigation by the ABC&apos;s Four Corners. He lost his bid after ASIO raised his links to the Chinese Communist Party and he was later banned from Australia on national security advice. The investigation also said Mr Dutton approved a request from Mr Dastyari to fast track Mr Huang&apos;s family&apos;s application and allowed them a private citizenship ceremony inside the former Labor senator&apos;s parliament house office. Labor argues the incident strikes at the integrity of Australia&apos;s immigration system and Mr Dutton&apos;s performance as a minister. "(This is) one of the ministers in charge of national security where it is cash for access and meeting people connected to the Chinese government. This is very unhealthy," Labor leader Bill Shorten told reporters in Gladstone.